Coneflower, Echinacea sp., is a stalwart fixture in the Texas perennial garden. Its mauve petals offset by a spiky, orange center are bountiful and irresistible to butterflies. Many new hybrid cultivars in a range of colors are also available. Coneflower grows well in full sun or very light afternoon shade. It tolerates any well-drained soil but prefers an average to rich soil. The thick taproots make this plant drought resistant, but it prefers to have regular water. Deadhead early in the season to prolong flowering. Later on, you may wish to leave the flowerheads in place to self-seed or to provide winter interest. Pinch plants back or thin out the stems in early summer to encourage bushy growth that is less prone to mildew. Divide every four years or so in spring or fall. Most of the new colorful cultivars are shorter-lived perennials in Texas gardens. Use coneflowers in mixed perennial beds, either in groups or as single specimens. They can also be added to wildflower stands and natural areas. The dry flowerheads make an interesting feature in fall and winter gardens. E. purpurea is an upright plant that is covered in prickly hairs. It bears purple flowers with rusty orange centers. Additional varieties are available, including selections with white or pink flowers. Many new hybrids offer an expanded color range of orange, red, yellow and peach blooms—even double flowers. ‘Flame Thrower,’ ‘Mama Mia,’ ‘Secret Passion,’ ‘Sundown’ and ‘Tiki Torch’ are good performers. 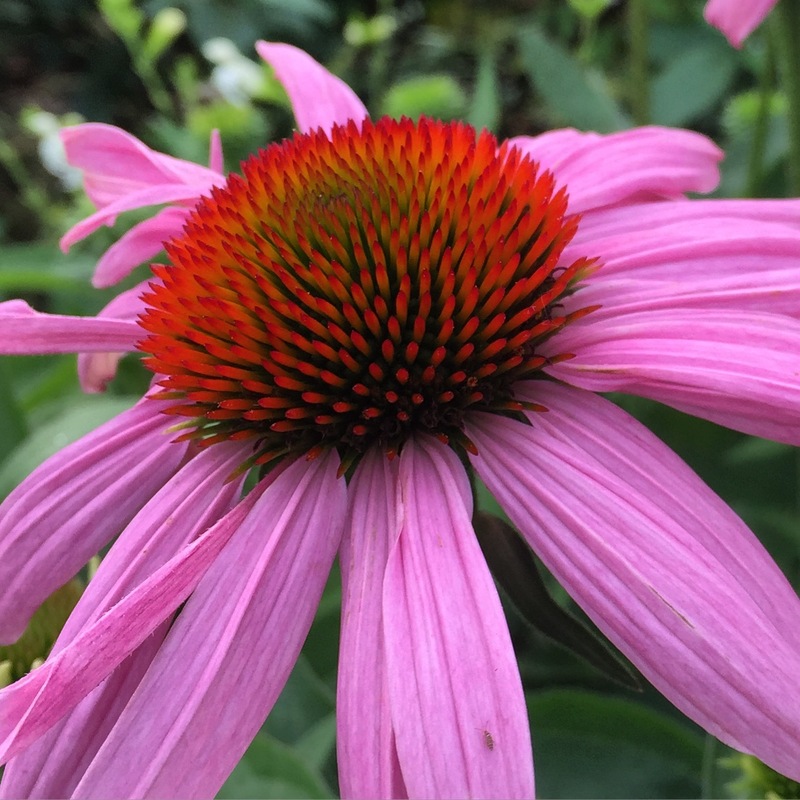 Note: Coneflower attracts wildlife to the garden, providing pollen, nectar and seeds to various hungry visitors.